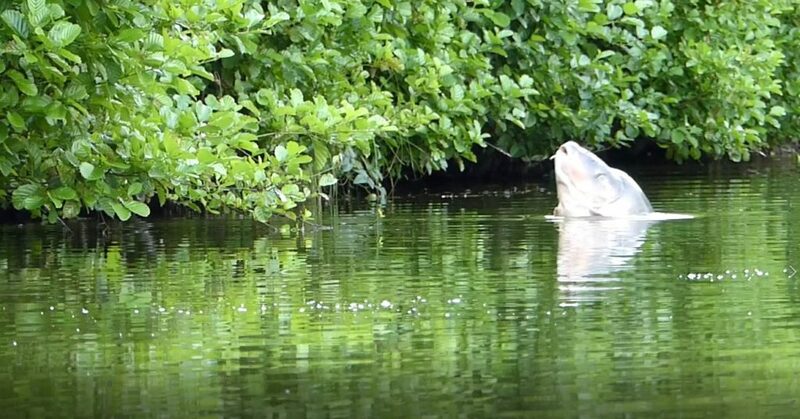 It has been said many times, but by far the most important aspect of carp fishing is location. If you don’t have a bait where the carp are feeding then you can’t catch them. 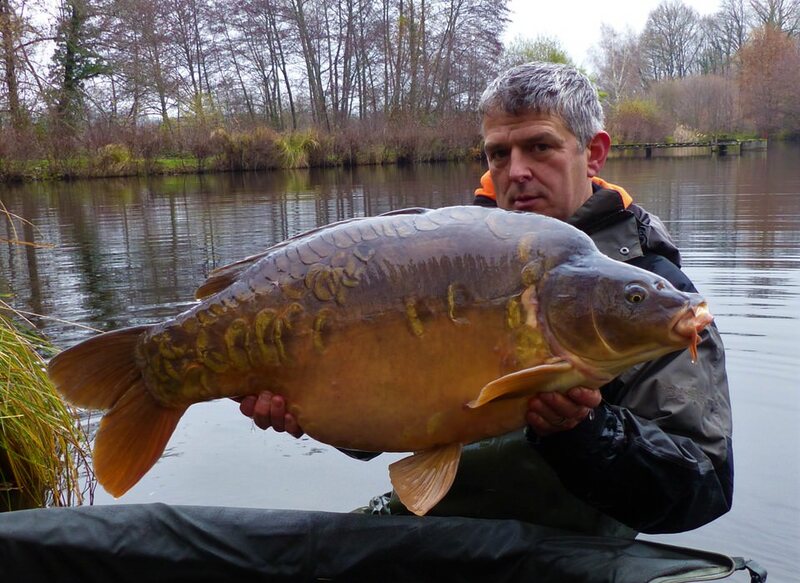 Due to the numbers of carp present, all the swims on Lac Serreire and Badgers Holt will have catchable carp in them at some time during every week. The carp are very mobile and visit most areas of both lakes frequently. So location really comes down to pin pointing the exact spots in your swim where the carp are willing to feed on bait. Although you can get bites in lots of spots, there are nearly always one or two spots in a swim that will out-fish everywhere else. If you can find one of these spots then you can really have a hit of fish. The way to find these spots is simple; observation. Watch the water and the carp will show you everything you need to know. At some time during every 24 hours the carp will show; either by rolling, head-and-shouldering or crashing out. Or more often the signs are more subtle; fizzing, tail vortices, swirls, mud clouds, bow waves, etc. Sometimes seeing just one show can be the key to a successful session. During the warmer months, much of the activity will be during the night and dawn time. So watching the water from just before it gets light and for the first couple of hours of daylight is critically important if you want to maximise your chances of success. It can also pay to be up during the night, it’s amazing how much you can see and hear during the hours of darkness. Often you can roughly pin point where carp are active just by listening. Keep torches and lights off and your night-vision also becomes much more effective. One of the biggest errors can be to zip down the bivy door – It’s a costly mistake. It is always better to let the carp show you where the spots are than to try and find them using prodding sticks or echo sounders. Most people find that fish finders are not useful on either lake. Setting the alarm before dawn, keeping the bivvy door open and watching the lake intently will show you the exact spots that the carp are happy to feed on. Once you have the spots located, it is vitally important to use a bait that the carp really want. There is big difference between a bait that they will eat vs. one that they really ‘want’ and keep looking for even after it is gone. 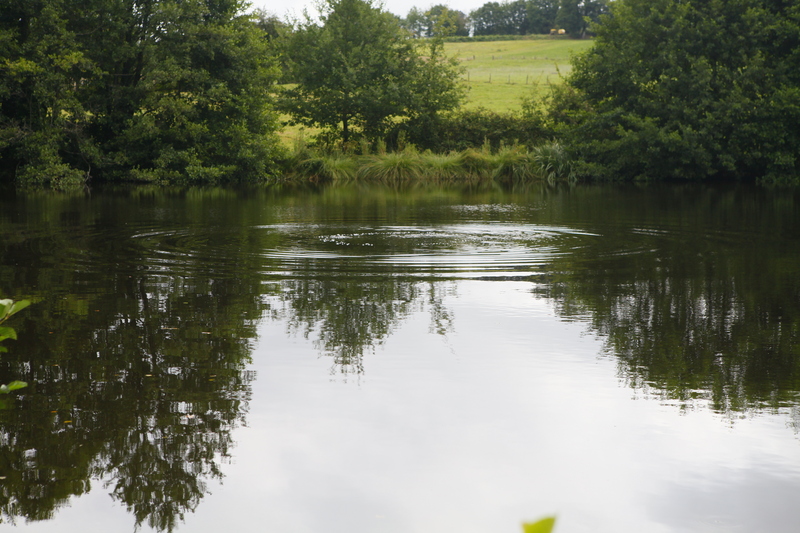 Both lakes have a huge amount of natural food available to the carp and neither is overstocked with fish. This means that the carp have a choice and are not dependant on eating anglers baits. This is different to many lakes and makes bait choice extremely important here. We cannot emphasise this point too much – Week after week we see how important this is – Bait choice for both lakes is absolutely critical and will very often lead to the difference between success and failure. Both lakes respond very well to fishmeal based boilies. If they also contain a percentage of milk proteins then they will be even more effective. Early and late in the year, when the water temperatures are lower, having an emulsifier added to the baits will help break down the fat content, aid digestion and increase attraction (very few commercially available baits are adjusted for the seasonal water temperature changes). It’s very important not to use baits that simply rely on flavours. 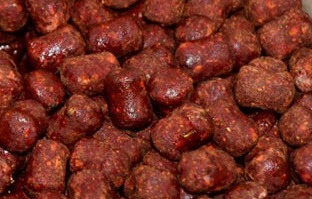 The really successful baits are baits where the ‘base mix’ is what the carp really want. ‘Attractor’ baits, that rely on flavours, will catch a few carp, but results will trail off over time and the carp will revert to naturals again or other bait sources in the lake. Whereas high nutritional value (HNV) ‘food’ baits, with good digestibility, get better and better over time. Do you really know what is in your bait? We offer baits at Lac Serreire and Badgers Holt that are designed for these lakes, are nutritionally excellent, highly digestible, seasonally adjusted for the changes in water temperature, very reasonably priced and, due to the quantity that has been fed to the carp, they feed on them just like natural food. We recommend using our baits or similar HNV baits that are sourced from a company that understands the whole HNV concept and has a high turn-over of ingredients so that you know they are fresh. It is a fact that on the Serreire complex, non-HNV baits that rely simply on flavours, on average will not work as well – We see this trend clearly from the catch reports week after week. 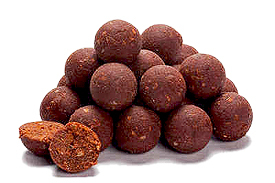 Please note that all boilies must be preservative-free and fresh/frozen. Storage of bait is also very important. High quality HNV baits should be kept frozen or in air dry bags hung up off the ground. When storing in air dry bags, don’t have too many in a bag and shake the bag a few times a day to keep the air circulating to all the baits. Keeping boilies in plastic bags once they are thawed out will cause them to very quickly deteriorate and become less effective. There are freezers at both lakes here so we generally recommend to keep the baits frozen until a few hours before you plan to use them. It is also recommended to keep pellets out of direct sunlight. If bags of pellets are left in the sun then the oils will release from the pellets and also start to oxidize, rendering them much less effective and eventually dangerous for the fish. This is also very important and can make or break a session. Carp are much more catchable when they are moving around as they feed. Therefore it is usually more effective to spread baits over an area and not to drop them in one very tight patch. By spreading baits, the fish have to move around and this is when most rigs have the best chance of hooking them. An added benefit is that larger baited areas have more chance of being found by the carp. Particularly successful are lines of baits with a rig placed at each end. We strongly recommend to fish and apply bait a reasonable distance off the various areas of lily pads. If bait is put in the pads or right on the edge of them, then the fish will just stay in the pads and be almost impossible to catch. If a good bait is applied a safe distance away from the pads then the fish will come to it and you will have a much better chance of landing a hooked fish. In warm summer conditions the crayfish will become active. During these times we recommend to bait up several times a day. For example, if you plan to bait up with 5kgs of boilies for a 24 hour period, then rather than putting it all out in one go, bait up with 1kg five times throughout the same period. This ensures that there is always bait available for the carp on the spots. It is recommended to not have line passing through a baited area. 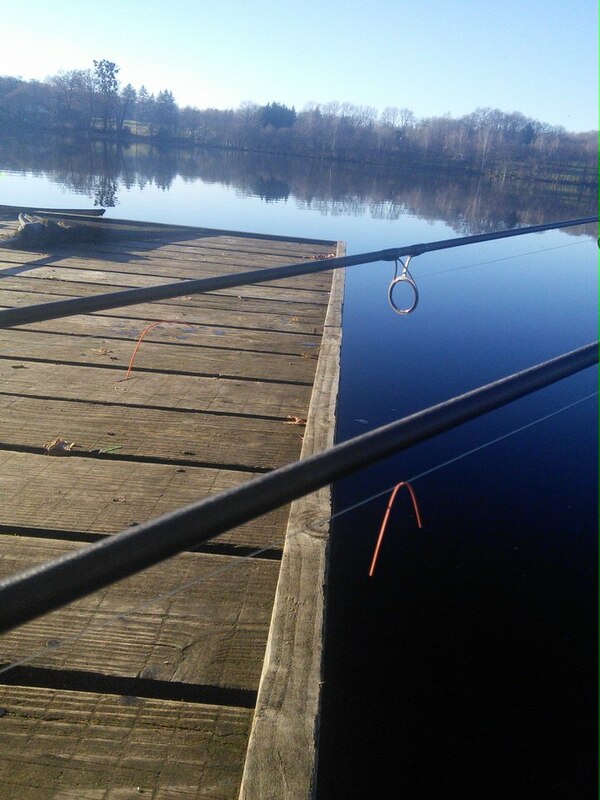 Fishing the ends of a line of bait or the nearside of a patch of bait is usually more effective than fishing the middle of a patch. When fishing Badgers Holt, it is usually more successful to fish fairly slack lines and also heavy lines to keep them on the bottom and well out of the way of carp swimming anywhere near the baited areas. When fishing long range on Lac Serreire, it is not a good idea to fish back-leads on tight lines with light indicators right at the top next to the rod. Often the fish can kite on the long line and, because the indicator is already at the top, it doesn’t move and no indication is received at all. This costs people fish on Lac Serreire almost every week. A more successful method is to use heavier indicators with a drop below the rod and no back-leads. In this way, the indicator at least moves up to the rod if a fish kites and this results in at least a few bleeps. Be prepared to check every bleep when fishing like this since many takes are indicated by just a few bleeps. Line strength – Las Serreire is especially demanding on your line due to lily pads, reeds, branches and sharp gravel in some areas combined with shallow water and very strong fish. For this reason we strongly recommend using thick and strong line. The minimum we allow is 18lb breaking strain or at least 0.4mm diameter. Thicker and stronger is even better. Fluorocarbon lines are not suited to fishing long range on Lac Serreire because of their weight, they tend to plug into the silt after a few hours and this makes bit indication very inefficient. When a spot has been located, it often pays to mark your line so you can fish the same distance every time that the rig is cast or boated out. You can also line up the direction using a tree or feature as a ‘marker’ on the far bank horizon. At night it is then simple to aim at the far bank marker and either place the line in the spool clip, using the line marker to set the distance, and then cast or send the bait boat out until the line marker comes off the reel. This is actually far better than most GPS systems on bait boats. By far the best method to use for this is the old school pole elastic as the line marker. One tip is to position the line marker just in front of the bite alarm once the rods are out because it can get caught in some models of bite alarm during a run (I always use the spigot of the rod as the reference point). Rowing boats are provided on Lac Serreire. It is useful to use them for putting out bait. But when a group fishes, it is often a good idea to agree a time of day when everyone will bait up at the same time. Too much boat usage throughout the whole day can spook the carp and put them on edge. 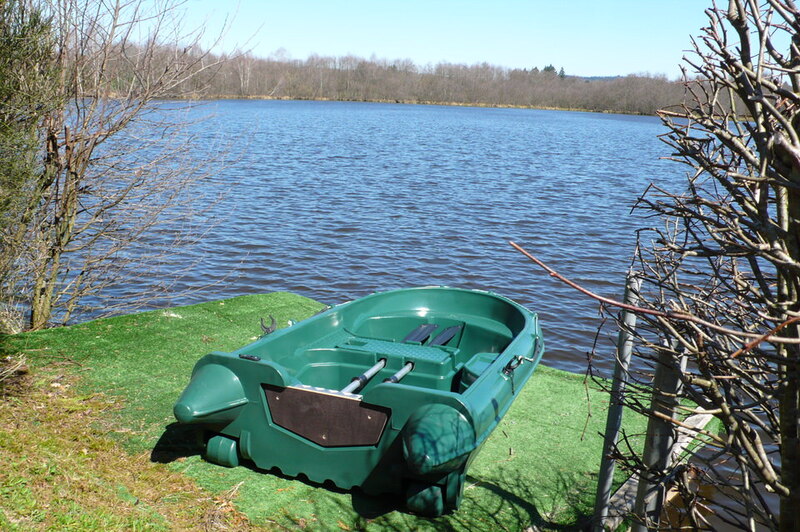 Excessive use of a boat in any one area of the lake will move the fish out to other areas. It is also possible to drop rigs from boats. 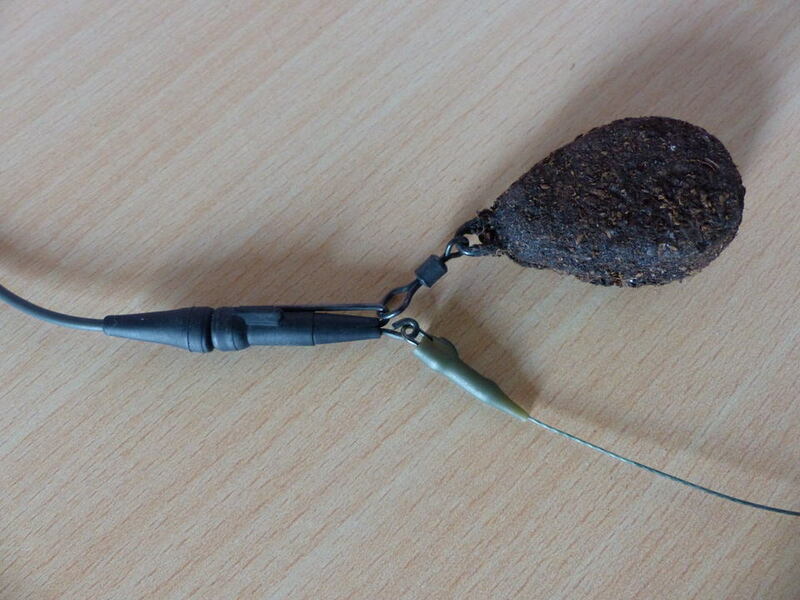 If you do drop rigs from a boat then it is important not to move the lead after the rig has landed on the bottom. This can pull the hook link into the silt and also cover the hook with bottom debris (leaf matter, silk weed, etc). If the rig is taken out in a boat to be dropped whilst the rod is left in the swim, it is important not to use the bait runner or a lose clutch to allow line out. This results in a massive amount of line twist and will quickly ruin your line. The reel’s bale arm should be opened to let the line out. Please do not place rigs in areas where landing the fish will be almost impossible. Don’t forget that monofilament line can have up to 10% stretch. So fishing 1 foot off lily pads at 150yds range will result in almost every fish being snagged before you even get a single bleep. Fish off the pads and snags, apply bait to bring the fish to your rig and have a much better chance of landing every hooked fish safely. As an example, 43 carp were hooked and landed during a week in the autumn 2015. The nearest that any rig was placed to lily pads was about 60yds, barbless hooks were used (size 6 Korda Wide Gape B’s), not one single fish got snagged and not one single fish was lost to a hook-pull. There is no need to lose fish due to the lily pads and snags and big hits of fish are easily possible fishing off the pads or in open water if you watch the water enough, accurately pin point the carp and apply a food bait that they really want. Ask if you are not sure. Fishing unsafely, in or too close to the pads, has become the number one reason for anglers being banned. There really is no need!! If in doubt then please ask! Lac Serreire is a silty lake. The silt is mainly organic and aerobic silt that is rich in natural food. The carp have spent their whole lives feeding deep in the silt and are totally used to it. For this reason it usually pays to fish where you see the fish feeding and don’t spend time looking for hard spots. There are hard spots in Lac Serreire, but they are generally less productive than the silt. We recommend to watch where the fish are feeding and then fish where they show and don’t worry at all about the silt. When silt fishing, standard lead clips and MCF clips work very well. In-line leads are less effective because they pull the hook link into the silt at the nose end of the lead. In all cases, stiff hook link materials can sometimes be less effective because, if the lead pulls them even a small amount into the silt, then they can stick up from the bottom ruining the presentation. The length of hook links should be set based on the bait application rather than concerns over the silt (eg if you are particle fishing on a tight bed of hemp then very short hook lengths are usually required, but if you are boilie fishing over a big spread of boilies then the fish will move more between baits and a longer hook link will be effective). Snowman, balanced (but not critically balanced) and bottom bait rigs are often more effective than pop-ups especially in warm water conditions when the fish tend to be feeding deep in the silt on a lot of natural food. In these conditions, a pop-up can be easily missed as it is too high up compared to the level down in the silt where the fish is feeding. It is often important not to move or un-plug the lead after it has landed. When fishing in silt this can cause the hook link to be pulled into and through the silt resulting in an ineffective presentation. If in doubt about anything then please ask – We are always happy to help.